The next big Oscar contender is Manchester by the Sea, even though Manchester is nowhere near the sea. Everyone knows that. Manchester in this case is in Massachusetts, hometown of brothers Lee and Joe (Casey Affleck and Kyle Chandler). 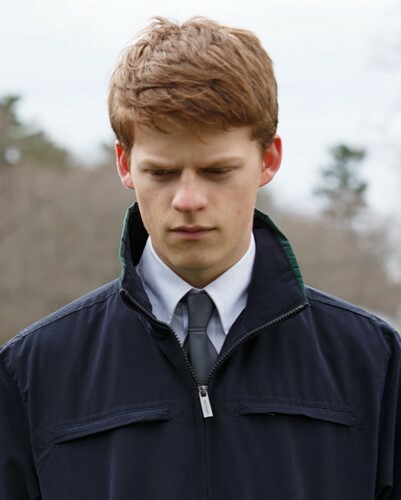 When Joe dies of a heart attack, Lee is left to take care of his nephew Patrick (Lucas Hedges). This is fairly standard Oscars stuff; well-written and acted, but equally slow and pedestrian. At two hours and change, it’s much too long and made longer by needless moments of slow-motion; Kenneth Lonergan’s only real directorial flourish. Lee’s face is forever fixed in the ‘Affleck Mope’ expression usually worn by Ben, and the character’s lack of growth over the course of the film is a little dissatisfying. Kyle Chandler is always a welcome presence, not least because he’s named after two great comedy characters (Broflovski and Bing, which itself sounds like a regional British bank). But it’s Hedges who excels as the young nephew, providing moments of levity and connectivity amongst otherwise dreary melodrama. It’s not that Manchester by the Sea is a bad film, just that there are lots of much better films; better films about grief (Three Colours: Blue), better films about family (Boyhood) and better films about an irresponsible man having to take care of children (Despicable Me). All this begs the question of whether anyone would have particularly cared about the movie had it been released back in August. If you thought the UK’s Manchester was dull, then do not Sea this film. ← What’s Eating Gilbert Grape?